MyKind Organics makes a liquid whole food Vitamin B12 supplement that is Certified USDA Organic and Non-GMO Project Verified in a great tasting raspberry spray. Just one spray (0.41 ml) provides 500 mcg (8,333% of the RDA) of Vitamin E. Given that the recommended daily allowance of Vitamin B12 varies by age, and whether you are pregnant or breastfeeding, the US Food and Drug Administration sets the daily value at 6 micrograms. Since Vitamin B12 is a water-soluble vitamin with no tolerable upper intake level established meaning a supplement is generally considered safe because of its low level of toxicity and that a maximum daily dose is unlikely to cause adverse side effects in the general population. Excess Vitamin B12 is released from the body through urine while the liver can store a 3-5 year supply. 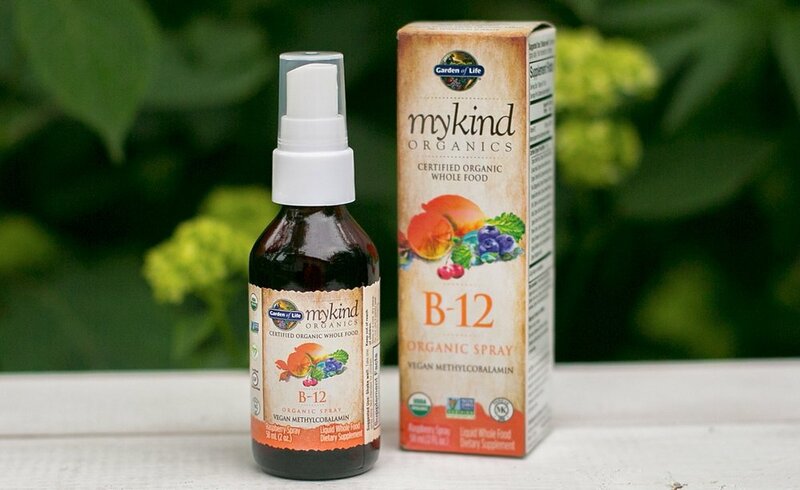 MyKind Organics Vitamin B12 Organic Spray is sold in a 2-ounce spray bottle that provides approximately 140 doses (approximately 5 months worth). Available at health and drug stores nationwide, this supplement is also sold on-line at www.amazon.com for about $12.